It’s that time of the year again, flu season is in full swing. Be prepared for health experts pleading with us to get the seasonal vaccine, but following last year’s catstrophe, will people be rushing out to get the injection this time around? Last season’s flu was severe, and the vaccine did little or nothing to help fight the infection. The number of influenza related death rose worldwide and experts are predicting that this year’s flu could be the worst in 15 years. 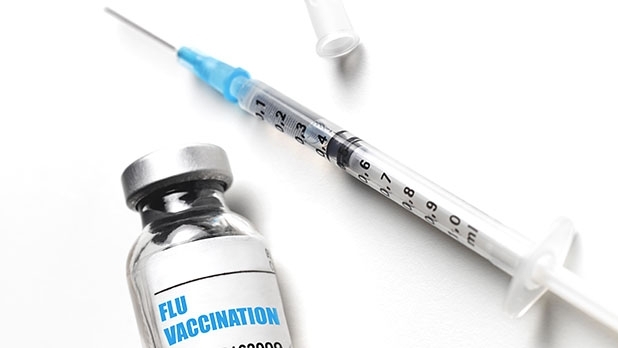 Health officials in Britain last flu season admitted that the vaccine barely worked. Due to a mutation of the virus, the so-called influenza antidote was only working on 1 in 3 people who received the jab. For those who are unaware of how a flu injection actually works, it’s actually rather simple: your body is fed a dead or weakened version of the virus. The system is tricked into thinking the virus is present, and is therefore able to produce the correct antibodies to fend the virus off. The problem with influenza and any virus is that it’s not a living organism, and you can’t kill something that doesn’t live. All we can do is fight it. It mutates and changes all the time, so a new injection is required seasonally to fight a new version of the same infection. “This year I particularly want to remind health care professionals of their duty to protect themselves and their patients by getting immunised,” he added. Those most at risk will be given the injection free of charge, and include anyone over the age of 65 and pregnant women. The HSE expect this season’s vaccine to be about 40-90 per cent effective. Despite all of last year’s failures, the vaccination still remains the only defence against the flu. So it’s a case of injection or infection, you choose.